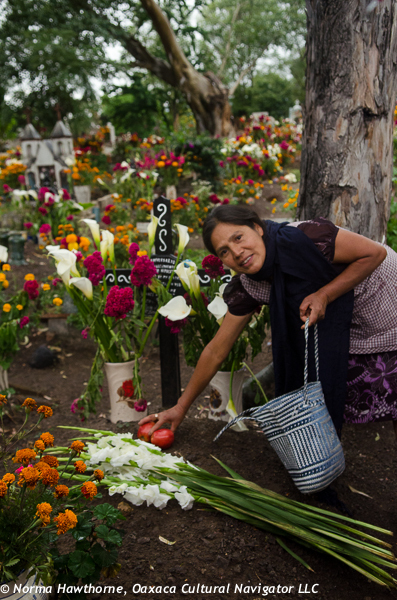 Many women in Mexico are named Guadalupe in honor of the Virgin, Our Lady of Guadalupe, who many say was Aztec high-priestess Tonantzin and Earth Mother, adapted to the religious needs of New Spain. 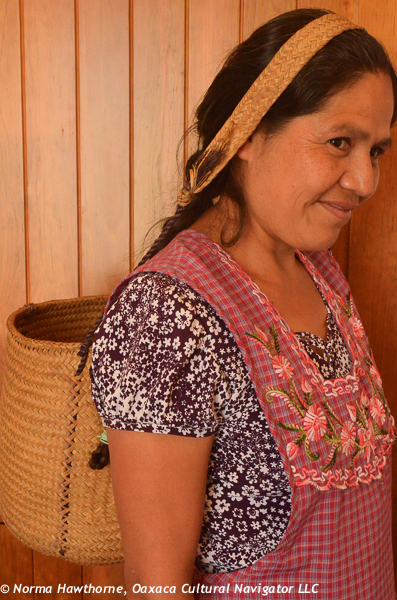 Our Guadalupe is a woman in her early forties with thick, luscious long black hair that hangs down to her waist. Most of the time she wears it braided with ribbon in the local Zapotec style. 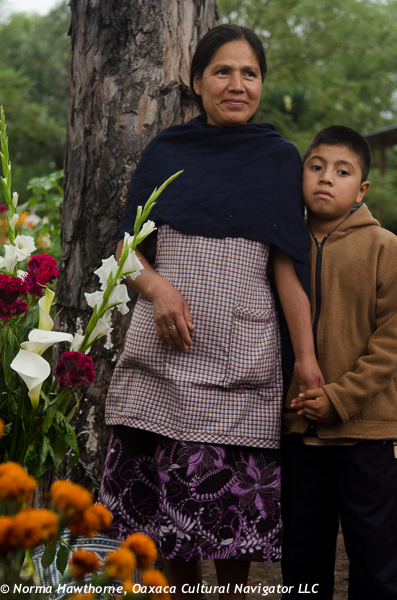 Lupe is a widow and mother of three boys. Her youngest is age eight. She has aspirations for all her children to go to and complete university. Lupe was just diagnosed with breast cancer and had surgery to remove the tumor. Depending on biopsy results, the follow-up treatment will be either chemotherapy or radiation. We are waiting to hear. As I write this, I am waiting for flights that will take me back to Mexico today. 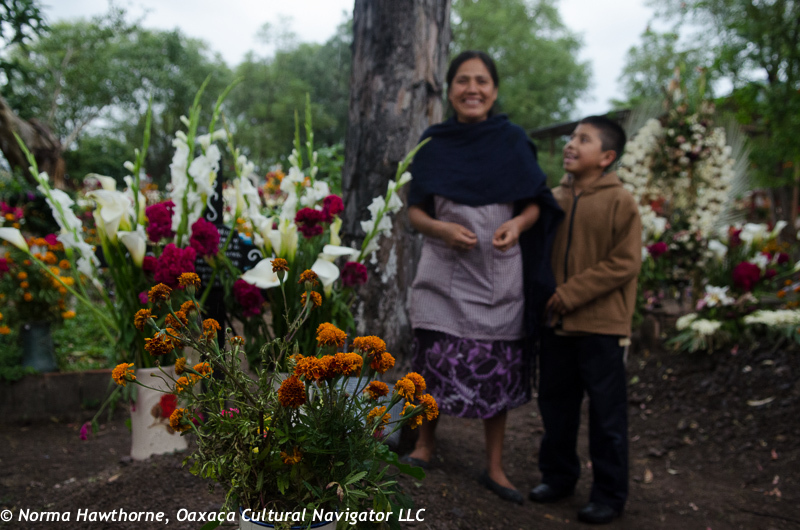 As soon as I get to Oaxaca, I will be able to find out more. The cost of the surgeon is 18,000 pesos. That’s about $1,350 USD, a substantial out-of-pocket amount for a weaver who is always working to make ends meet anyway. Then, there will be the cost of treatment. We anticipate that Lupe will not be able to work for a while, so there mayl not be enough to buy food or pay for school tuition and books. Breast cancer does not discriminate and affects women of all ages, at all economic levels and in countries throughout the world. I am certain there are many stories like this one. Several Oaxaca expat women have pledged to help Lupe with her expenses. If many more of us come together to offer a small gift, we can make a big difference for Lupe and her family and share the cost of her treatment and recovery. Will you join us? Lupe says she wants to pay back what is given to her by weaving rugs and cleaning houses. We think that’s too much to ask for a friend recovering from this diagnosis and treatment. We believe she needs to concentrate on taking care of herself. Let us join together to do a small part to repair the world. Thank you, And, can I add your name to the Friends list? For a complete list of donors, click on the link above!